Thanksgiving Break is only a few weeks away for Auburn! Use this free time to catch up on some new and old shows from Netflix and Hulu. Here are the 5 shows I recommend every college girl watch during Thanksgiving Break (and even Christmas Break!). Just finishing this show, I can definitely testify that this Netflix Original is awesome. After seeing it was constructed by Riverdale’s producers, I thought it would be “cringey”, but it was the opposite. I was expecting a cute rendition of our beloved “Sabrina the Teenage Witch” but it is so much darker than that. After the third episode, I promise you’ll be hooked! Be still my heart! In my opinion, The OC is one of the best shows aired in the early 2000’s. Although it is not on Netflix, Hulu has every single episode you need to fall in love with the characters of Orange County. Definitely easy to binge watch! 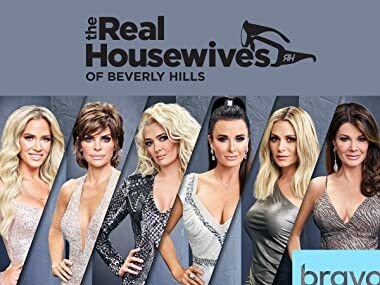 Although there are various Real Housewives locations, Beverly Hills is by far my favorite. I personally think it has the most drama, and the best women. From Kyle Richards to Brandi Glanville, there is not one episode you will find that is boring. You can find every season on Hulu. To be honest, When I first watched Below Deck I was confused on what I was watching, but this show is by far my favorite reality series streaming right now. Also being on Hulu, we get a view on what it’s like to work on multi million dollar yachts in close quarters. From sailing the waters in Tahiti, to crashing waves in the Caribbean, there isn’t a place that captain Lee hasn’t brought his crew to. Shark Tank is a show about entrepreneurs trying to start up, or add value to their company by marketing items that they have created either alone, or with a business partner(s). The Sharks can either invest or turn these people away. My favorite part about this show is seeing how creative and intuitive people can be. Hulu has every season as well!